I met Carrie in line for the extras casting for Machete Kills. I was super stoked to see a set of knuckle tattoos in kanji. 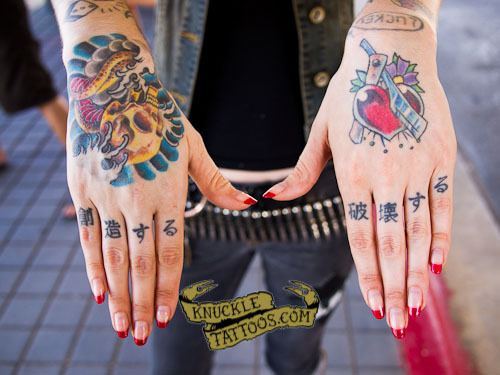 She says that the knuckles mean CREATE and DESTROY in Japanese. Carrie also said that she has received some very negative reactions from more traditional Japanese people, but that she still loves them.